Equiparts is a supplier of various replacement/repair parts for commercial/food service sinks. 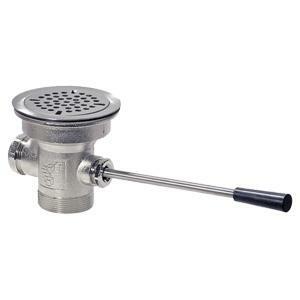 Some of the commercial sink drain components and parts we carry include lever wastes, bar sink, flat sink & basket strainers, strainer locks, drains, plastic overflow tubes, strainer and lever repair kits & more. Talk to an Equiparts representative at 1-800-442-6622 if you have any questions about pricing or commercial sink drain parts we carry. Equiparts carries a variety or replacement/repair parts for commercial sinks used in the food service industry. Our inventory includes sediment water filters, dual-core water filter cartridges, taste/odor/dirt/rust filters &amp; more. Contact us at 1-800-442-6622 for pricing or if you have any questions about commercial sink parts. 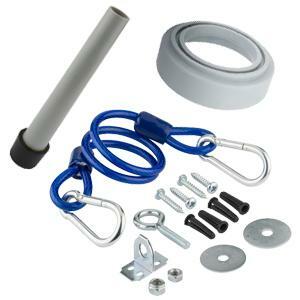 Equiparts carries a vast selection of pre-rinse and faucet parts for commercial sinks. 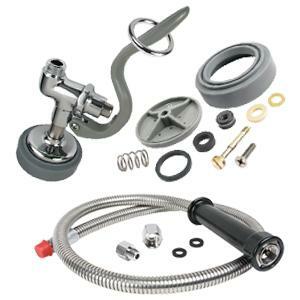 We carry a variety of pre-rinse hoses, add-on faucets, stems, washers, gaskets, adapters, push buttons, nuts, bolts, screws, spray valves & many more components and parts. Call 1-800-442-6622 to speak to an Equiparts representative about pricing or commercial sink pre-rinse/faucet parts.